Officers from the Met’s Counter Terrorism Command who are investigating three small improvised explosive devices received at addresses in London on Tuesday, 5 March have linked a similar-type device that was identified at the University of Glasgow on Wednesday, 6 March. Whilst the investigation into the device sent to University of Glasgow remains with Police Scotland, officers from both investigation teams are working closely together to share any information or intelligence that could assist their respective inquiries. Commander Clarke Jarrett, from the Met's Counter Terrorism Command, said: "Due to similarities in the package, its markings and the type of device that was recovered in Glasgow, we are treating it as being linked to the three packages we're investigating in London. We are working very closely with our colleagues from Police Scotland and both investigations are being run in tandem. "We continue to pursue a number of lines of enquiry and one such line is the possibility that the packages have come from Ireland. However, we are still keeping an open mind with regards who may be responsible and any possible motivation. On Tuesday, 5 March, at approximately 09:55hrs the Met Police received a report of a suspicious package at The Compass Centre, Nelson Road, Hounslow. The package was opened by staff at the building, causing the device to initiate. 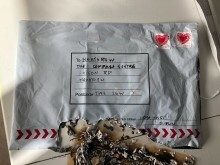 This resulted in part of the package burning. At approximately 11:40hrs British Transport Police were called to reports of a suspicious package in the post room at Waterloo Station. The package was not opened. Specialist officers attended and made the device safe. No one was injured. At approximately 12:10hrs police were called to a report of a suspicious package at offices at City Aviation House, Royal Docks, Newham. Staff were evacuated from the building as a precaution. The package was not opened and no one was injured. Specialist officers attended and made safe the device. The building has been reopened. Flights to and from the airport were not affected. On Wednesday, 6 March, a suspicious package was received at the University of Glasgow. The package was not opened and no one was injured. The emergency services were alerted and several buildings within the estate were evacuated as a precaution. Specialist officers from Police Scotland subsequently carried out a controlled explosion of the device.